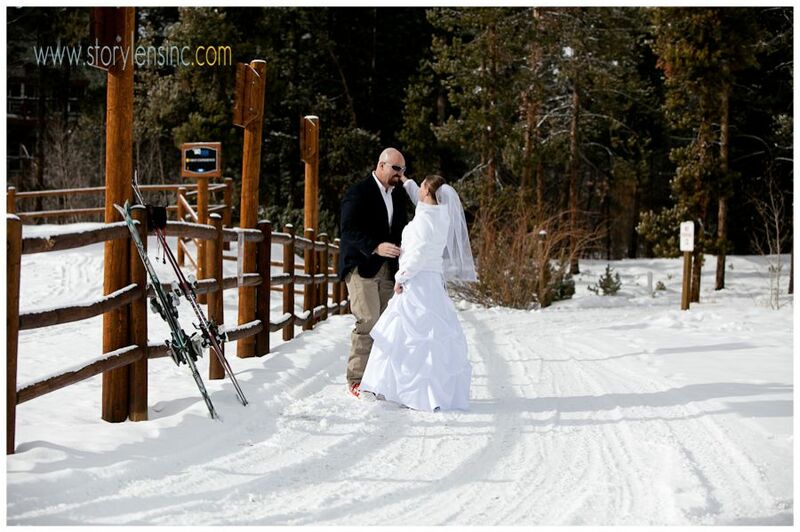 Snowflakes were the perfect theme for this mountain winter wedding. 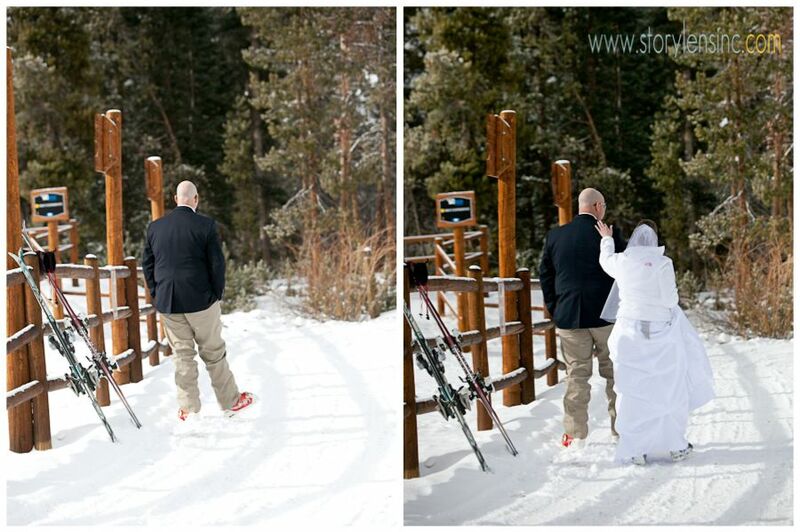 For just like snowflakes, every wedding is unique and beautiful… Amy and Brendan’s Keystone wedding was no exception to this rule. It was small and intimate in numbers, but big and bold on fun, easy and perfectly Brendan and Amy! 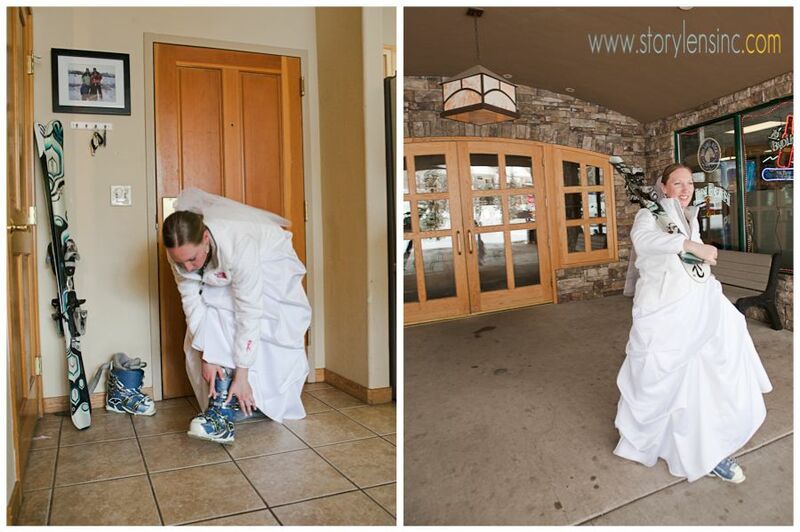 The photos here showcase the snowy parts of the day- where Amy and Brendan whisked down the slopes in their wedding attire to the cheers and congratulations of the fellow skiers and riders. The morning graced us with some fresh snow, which subsided just in time for a sunny window for us to sneak out before the ceremony! After the ceremony the whole crew ventured up the gondola and back to Timber Ridge where they enjoyed a fondue dinner, toasts and lots of laughs. Amy and Brendan, enjoy this sneak peek and congratulations!! !